E-commerce – a term which by now must be known by majority of people, especially those who are regularly doing online shopping, making online purchases, and are involving in online transactions. For the rest who may have some confusion, let’s simply explain what it means. 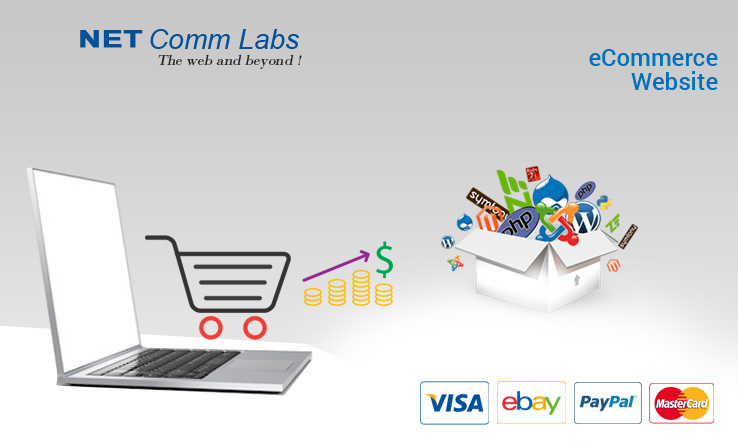 E-commerce or electronic commerce is nothing but transactions of businesses which can be achieved via the Internet. The online shopping that is so frequently done in the current times, is what makes an E-commerce business. The question here is about the role that an E-commerce website has to play in the success of an online business. Is the website really important? If so, why and how are developers considering such importance through their work and performance? If effectively observed, an online business is all about what the business owner presents its consumers through its online platforms – which is the official website of the company. Examples include Amazon.com, Flipkart.com, Ebay.com, and others. All these websites are online shopping sites, which allow customers to scroll through the varied items in different categories, place their orders, and make their payments on the site only. It is as simple as that for the users. But is it really that simple for the developers and business owners too? A website has to create the right amount of attraction and interests among the buyers, so that they choose a particular E-commerce site to make their purchases. It can well be realized that the design, presentation, and the functions of the website have to be effective and also error free for maintaining that level of attraction among the buyers. It is here that the role of the web designers and developers proves to be of great importance for websites. There are underlying codes and programs that determine the effectiveness and functionalities of the sites. Naturally, all these are not known or understood by anyone not having the suitable knowledge on the subject. But, in a city like Delhi, there are highly qualified professionals who can be hired to get the jobs done. Contacting an Ecommerce website design company in Delhi would allow the E-commerce business owner to discuss their requirements, based on which the designers can design the website, keeping it unique and different from other sites. However, in today’s times, it is also not enough to create one’s presence through a website. With increasing use of the mobile phones, and mobile apps, developing the mobile application for the online site has also become extremely important. For this, one may require to hire professionals from any mobile app development company in Delhi. Professionals can be relied upon for their knowledge and expertise in the field, using which they can rightly implement the elements that are essential for the most accurate design and development of both the website and the app. No doubt that the demands for IT professionals for E-commerce web development are so much on the rise, and can be expected to increase more in the coming years.